Detailing the physical features, habits, territorial reach and other identifying qualities of the Clouded Sulphur. The pale yellow Clouded Sulphur Butterfly is a common summertime guest in backyards and parks, happily flitting about the flowers. Sulphur (also spelled sulfur) is a yellow nonmetal that is often associated with a rotten egg smell. The butterfly takes after this element's color, not its odor. Female Clouded Sulphurs have colors that range from bright yellow to greenish-white. Males are typically a richer, buttery yellow. Both genders have a double white spot on the forewing, though in males it is more visually pronounced with its dark border. Their front pair of legs are the same length as the others, whereas other families of butterflies have very short front legs. These long legs allow it to readily walk. 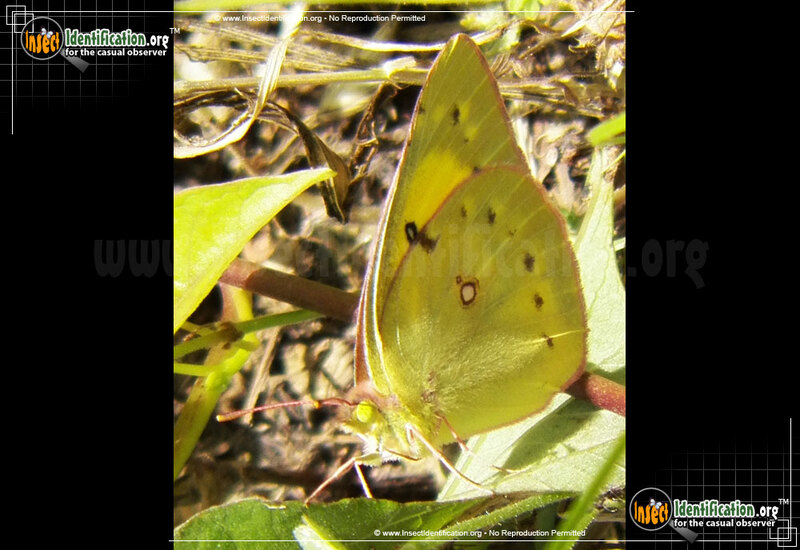 This butterfly species is very similar in appearance to Orange Sulphurs (also in the Colias genus) and may be mistaken for them in the field. Clouded Sulphurs do not meander. Instead, they fly direct routes to their destination, though it may look sloppy. Caterpillars are chubby and green with a black stripe along the body. They especially enjoy feeding on clover, but they will also eat the leaves of alfalfa and other bean plants. The medium-sized Clouded Sulphur butterfly can be seen flying in meadows, near puddles, along roads, in parks, crop fields, gardens, and various muddy places. They are comfortable in urban, suburban and rural environs, making it likely most people will see them sometimes during the spring, summer and fall months.